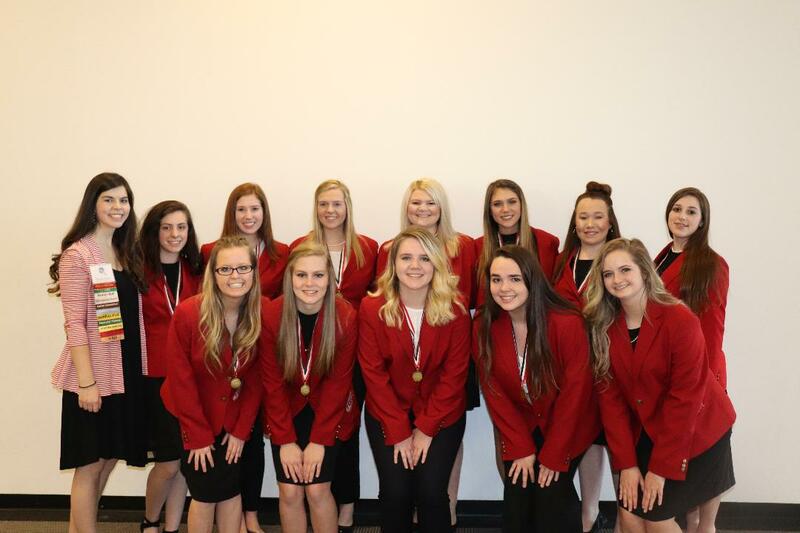 Blue Ridge, Ga. – Fannin County High School’s Family Career and Community Leaders of America are headed to the Golden State this July for the FCCLA National Leadership Conference. On March 15-17, 2019, twelve FCCLA Members attended the FCCLA State Leadership Conference in Atlanta, Georgia. Our students participated in a variety of competitive events with students from across the entire state. Our chapter was successful and brought home many awards. This year, our chapter applied for several State Program Awards. Fannin County earned the Families First State Program Award for the Grandparent’s Night that FCCLA hosted back in January of this year. 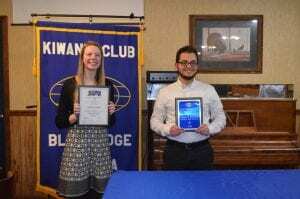 Chloe Clemmons (picture attached) accepted the award on behalf of our chapter. Our chapter also earned recognition for being an FCCLA Honor Roll Chapter. Honor Roll is a points system based on events that your FCCLA Chapter either hosts or participates in. 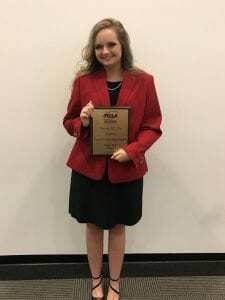 Fannin County was recognized as one of these chapters and Fannin County FCCLA Chapter President, Bobbi Pippin (picture attached), accepted the award on our behalf. Another award that we received was the Georgia FCCLA LIVE for 25 Membership Award. 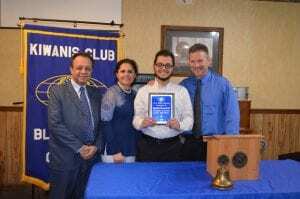 This award was granted to all chapters who increased their student membership by 25% during the 2018-2019 school year. In addition to these chapter awards, our students received many individual awards. 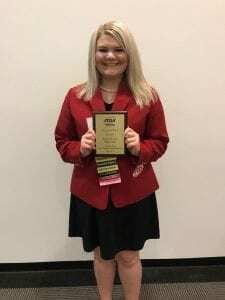 Catherine Finley was awarded the Statesman Award for passing the Georgia FCCLA Statesman Test. She is now eligible to compete in the Distinguished Statesman Test next school year. 11 of these students placed in the top 2 of their categories in the state and will be advancing to National Leadership Conference in Anaheim, California this July where they will compete against students from across the entire nation! 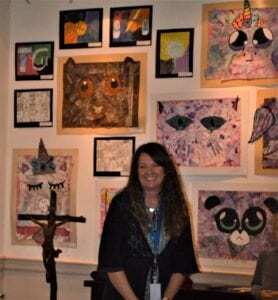 Many talented Fannin County and Copper Basin young artists had their pieces displayed recently at the Blue Ridge Mountains Arts Center to kick off Youth Art Month. 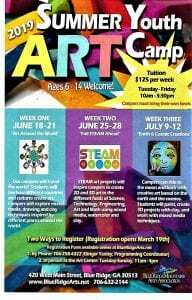 Blue Ridge Elementary School, East Fannin Elementary School, West Fannin Elementary School, Fannin Middle School, Fannin County High School, and Copper Basin High School were well represented with various arts from rock painting to canvas. Nancy Watkins – Blue Ridge Elementary School. Kimberly Huffman- East Fannin Elementary School. Ben Sexton- West Fannin Elementary School. Dana Stone- Fannin Middle School. Holly Vicarro- Fannin County High School. Jennifer Danner- Copper Basin High School. Bethany Musselman, a Fannin County High School Art student, helped dedicate the month of March as Youth Art Month by reading the 2019 Proclamation. 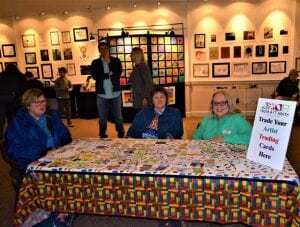 Each First Place winner from the various schools represented received a Gift Certificate to The Art Center’s store. Hudson York- Blue Ridge Elementary School. Presley Daves- East Fannin Elementary School. Ava Acker- West Fannin Elementary School. Vanessa Medrono- Fannin County Middle School. Bethany Musselman- 2D- Fannin County High School. Alyssa Anderson- 3D- Fannin County High School. Aidan Garcia- Copper Basin High School. Watkins, Huffman, Sexton, and Stone accepted the First Place prize awards for the students in their respective schools who were not able to attend. 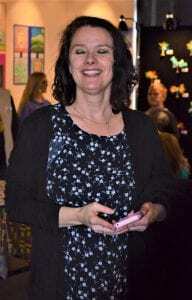 Executive Director Nicole Potzauf commented the Youth Art Month event was one of her favorites at the Art Center which showcases and honors students to help develop creativity in the community. 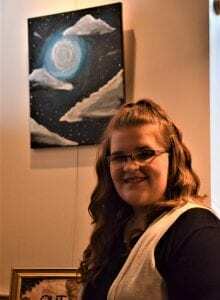 One young artist, Ireland Wilson, a freshman at Copper Basin High School, sold her first acrylic painting. 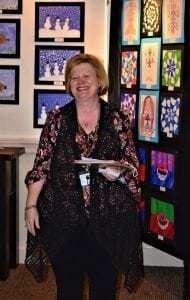 To view all the wonderful pieces of art from our local youth, please visit the Blue Ridge Mountains Art Center at 402 West Main Street in beautiful downtown Blue Ridge, GA. 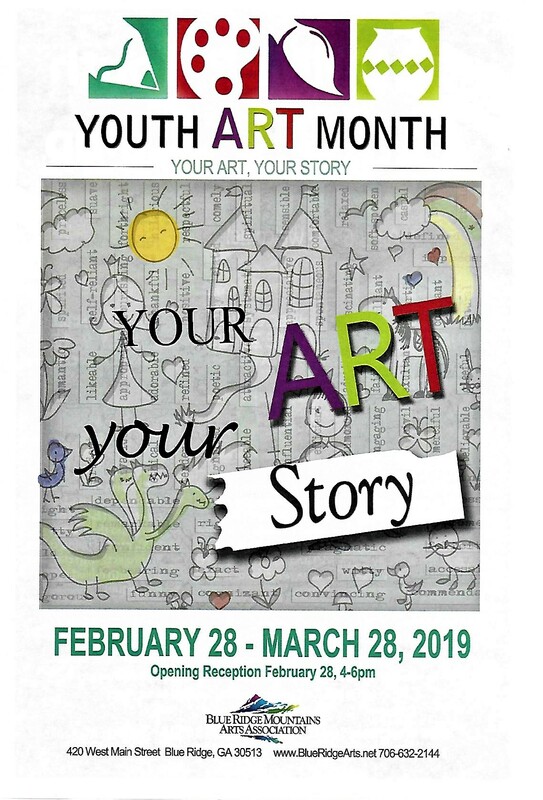 Call (706) 632- 2144 or email BlueRidgeArts@gmail.com for more information on March Youth Art Month. The PAGE Student Teacher Achievement Recognition (STAR) program has just celebrated its 61st year. Sponsored by the Professional Association of Georgia Educators (PAGE) and Foundation, it “has honored nearly 27,000 students and teachers”. In Fannin County, two high school individuals were chosen at the start of the 2018-19 school year to participate. The winner here in Fannin County Region would then go to the State level and compete vying for the title of State PAGE STAR student. Their mentors, or STAR teachers, would be with them throughout the process. 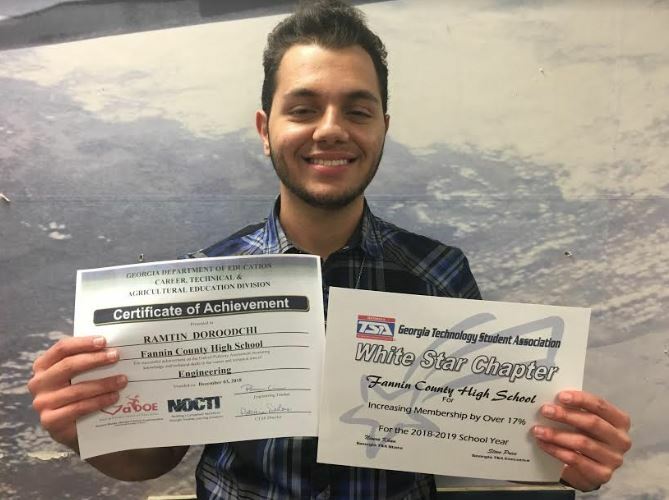 The 2019 STAR student to represent the region is Ramtin Doroodchi. In a humble, but confident manner at the podium, young Doroodchi, son of Mr. and Mrs. Hamidreza Doroodchi, says hard work does pay off in the end. He plans to enroll in the Georgia Institute of Technology in the summer of 2019 which will help him get a “head start on classes”. He plans to get his bachelor’s in Biomedical Engineering (BME) with a dual degree from Georgia Tech and Emory University. 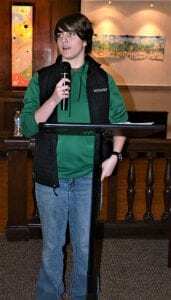 He anticipates getting his Master’s Degree or going to Medical School in the future. Savage plans to continue her higher education at Covenant College in Lookout Mountain, GA. Her study will be in Chemical Engineering (Pharmaceuticals). 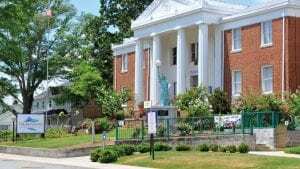 The next competition will be held in Dahlonega, GA.
For more information on the PAGE Student Teacher Achievement Recognition (STAR) program , please visit https://www.pageinc.org/about-us/. Blue Ridge, Ga. – The Fannin County Board of Education (BOE) voted unanimously for the Fannin County School System to remain a charter school district. Fannin County schools officially became a charter school system July, 01, 2015. According to the Georgia Department of Education (GDOE), a charter district must renew their intent and contract with the state every five years. 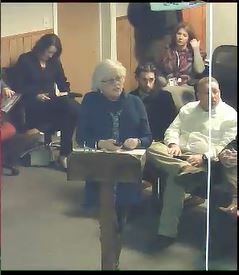 Deputy Superintendent Betsy Hyde spoke with the BOE on what it means to remain a charter district. Upon Fannin County looking to obtain AdvancedED accreditation, the Georgia Department of Education asked administration to review their charter application a year early. AdvancED is a non-profit, non-partisan organization that conducts rigorous, on-site external reviews of schools and school systems. Every five years a school system must participate in a targeted self-reflection process. The AdvancedED helps to evaluate purpose and direction, governance and leadership, teaching and assessing for learning, resources and support systems, as well as engagement with stakeholders. The charter renewal as well as the AdvancedEd accreditation are expected to have coinciding site visits to Fannin County Schools. Hyde explained that during 2015, when Fannin County officially entered into the charter system, the state of Georgia offered three flexibility options for districts to pick from. The first of these options was Status Quo. Under this option the school system would not be allowed waivers and have limited flexibility on the local level to customize the school learning environment. The second option presented was the IE2/Strategic Waiver. This gave districts the ability to ask for specific waivers, but did not allow for School Governance Teams (SGT) to be established. Lastly school systems had the option of becoming a charter district. This option did not restrict waivers and required the formation of SGT. With this option Fannin County would be provided more flexibility in exchange for maintaining at or above state levels in reviews. “One of the things that we do in our system is we had to have waivers for instance to do block scheduling, class size, different things like that,” Hyde said explaining the benefits of being a charter district. The decision to initially become a charter school system was not one that was taken lightly, Hyde explained that countless hours of research went into the decision, including speaking with other charter systems and visiting different districts. Some of the advantages to being a charter district include flexibility to innovate educational opportunities, financial savings from waivers, and possible additional funding in Quality Basic Education (QBE) if appropriated. One of the outstanding characteristics is the creation of SGT within each of the Fannin County schools. The first SGT was established in June of 2015. These teams, comprised of 7 members, each meet on a regular basis and include school system faculty as well as parents. Hyde replied that she still felt very strongly that being a charter system is the best option for Fannin County and added that it also allows the school system a wider range of options as future needs within the district arise. The BOE took the first step in renewing its contract to stay a charter district by passing a resolution updating their procedures. While there are still many steps to take before this renewal is official, administration is confident in their choice and ability to continue with charter district status. 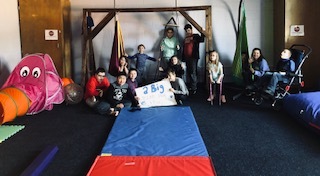 Blue Ridge Elementary wants to give a “Big Bear Hug” to FCHS Construction Class and their teacher Daniel Stewart, for making our idea come to life! Blue Ridge Elementary requested that a structure be built for our growing population of students with sensory needs. 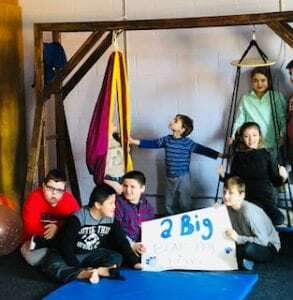 We needed a structure that could withhold special swings designed for sensory purposes and FCHS students delivered! The structure not only serves a functional purpose within the room but reflects great craftsmanship. Our sensory room is a vital part of our students’ schedules. This room offers students with specific processing disorders and needs a place to take a break or calm down throughout their day. Cady Finley pictured at the back of the packed U-haul trailer of school supplies. 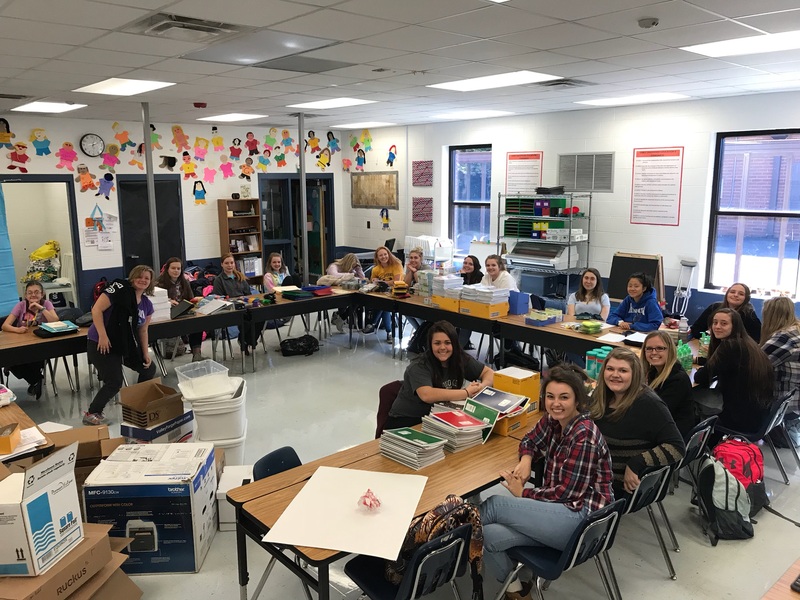 Fannin County High School Family Career and Community Leaders of America (FCCLA) collected school supplies during the month of October to send to those who were affected by Hurricane Michael. 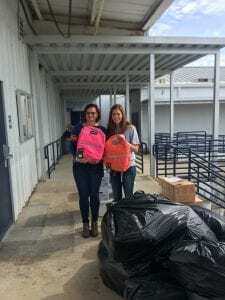 Many members of the community, along with students at FCHS, collected over 5,000 items to send to Bay County, Florida. Some of the items collected include over 200 backpacks, more than 800 pencils, 167 notebooks, and almost 200 packs of lined paper. We also sent crayons, glue, calculators, markers, index cards, disinfectant wipes, dry erase markers, and more! Cady Finley pictured with a representative of Bay County School System as she dropped off the school supplies. 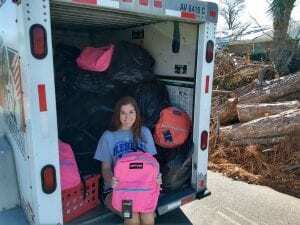 Cady Finley, 10th-grade FCCLA Officer and leader of this initiative, stated that, “It’s amazing to see how our students and community are willing to come together and collect items to make a big difference in the lives of those who have lost everything.” Cady and her mother drove a U-haul trailer to Bay County, Florida the first week of November to deliver the school supplies. The FCHS FCCLA chapter would like to thank all of the community members who purchased items for donation. at Fannin County High School, along with preparing for post-secondary options during 9 th grade year. committed to providing information and support to all students in order to be successful” Mr. Cioffi added. 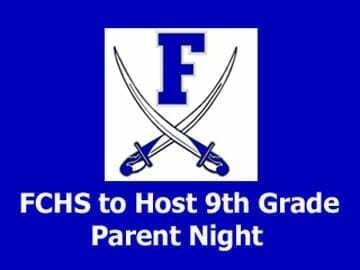 For additional information, please contact the school at 706-632-2081.